Celebrating the birth of your child should be the happiest moment of your life, but sometimes medical complications arise that can put your child’s health at serious risk. It is reported that birth injuries occur in 7 of every 1,000 live births, many times due to forceps misuse. If used correctly, a forceps delivery can save a child’s life. 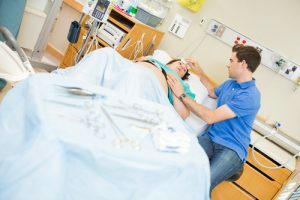 Forceps deliveries are important in preventing oxygen deprivation or protecting an infant’s head from the twisting, pulling, and stretching that could occur during a difficult birth. If your baby has sustained a birth injury as a result of forceps misuse, you may be facing years of expensive medical treatment. If a doctor or nurse is at fault for this injury, however, you may be entitled to compensation to help cover the costs of caring for your child. Call a Michigan birth injury lawyer at Thurswell Law today to learn more about your rights as a victim. Our experienced lawyers are available for a free consultation. Call us toll-free at (866)-354-5544.